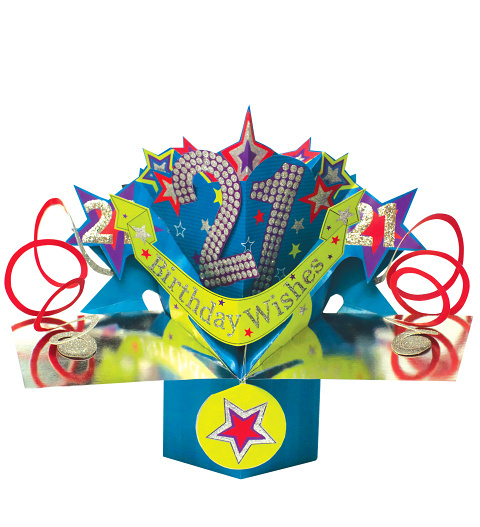 A bright and colourful 21st birthday card perfect for any birthday boy or girl. This beautiful card pops up when opened for a fantastic surprise. Send this card all on its own or as part of a great gift.